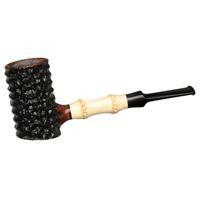 Last May I attended the Chicago Pipe Show, and the first person I saw was an Englishman named Reggie Stevens. Reg lives in Birmingham, England and speaks with the accent of someone who has lived in the north of England his whole life. He sounds a little like Ringo Starr. "Reg!" I said, "It’s so good to see you!" as I gave him a big bear hug. "Well, I’ll tell you, mate," he said, "I’m feeling a little better now. My wife of 54 years died in January, and this is the first time I can feel the cloud lifting a little – because of all the love and friendship there is at this pipe show." Love and friendship … the essence of pipe shows. How do we explain this to our friends and relatives? It is not easy since the whole world has gone anti-smoking. We see the damage that a lifetime of cigarette smoking has caused to millions of people, and we find ourselves feeling alienated and ostracized if we dare to suggest that there is another type of smoking – pipes and cigars in moderation – that helps us relax and cope with stress – that helps lower our blood pressure. 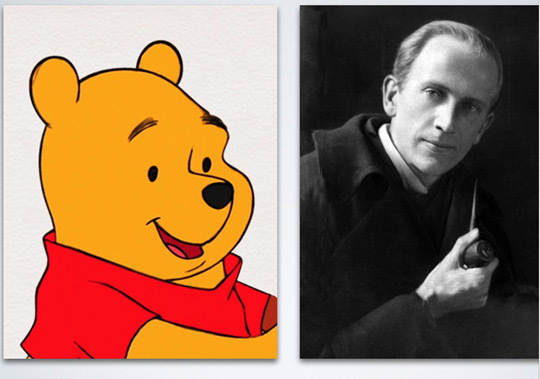 A.A. Milne was the brilliant writer who created the character "Winnie the Pooh." In 1920 he wrote an essay titled, "Smoking As a Fine Art," in which he discusses a new school of pipe smoker that developed as a result of World War I. He says that 18-year-old soldiers embraced pipes as a way to show the world that they were men, not boys. But it is not pipe smoking that appeals to these young men. It is bragging about the white spot on their mouthpieces. Dunhill had introduced the white spot in 1912 as a way to help the smoker know which side of the mouthpiece was up. It soon became a sign of prestige, luxury and good taste. Milne excoriates these pipe smokers as something other than real smokers. He mocks the pipe collector who cares for his pipes by polishing and displaying them and who insists that his tobacco be specially blended. He writes: “For whereas men of an older school, like myself, smoke for the pleasure of smoking, men of this school smoke for the pleasure of pipe-owning–of selecting which of their many white-spotted pipes they will fill with their specially-blended tobacco, of filling the one so chosen, of lighting it, of taking it from the mouth to gaze lovingly at the white spot and thus letting it go out, of lighting it again and letting it go out again, of polishing it up with their own special polisher and putting it to bed, and then the pleasure of beginning all over again with another white-spotted one." Without knowing it, he was actually describing the pipe collector who would emerge a century later – in fact, he was describing most of us reading this website – not the snobbery part, let’s hope, but the appreciation of pipes as collectible items that have purpose and meaning that go beyond their smoking qualities. Milne compares these pipe collectors to book collectors who insist that their books be bound a certain way – picture leather-bound or in certain colors for display on their bookshelves. He points out that most serious readers are oblivious to the bindings on their books. All they care about is the substance of what they read and not what the covers look like. In the same way, Milne considered himself a serious pipe smoker, where all he cared about was smoking the handful of pipes that comprised his collection. He says that by the end of his first year as a student at Cambridge University, he bought what we would call a "basket pipe,” or what he describes as a "shilling briar." “I have smoked that, or something like it, ever since," he says. According to Milne, the young men who are hung up on the white spot have no appreciation for the enjoyment of a pipe. He concludes by proposing that someone invent a pipe that smokes itself so these pipemen can have plenty of white spot collectibles to display, and they won’t have to bother with actually smoking their pipes. It is a fascinating essay, beautifully written, and it reflects the thoughts of a serious pipe smoker from a century ago. But we are living in 2018, not 1918. The world has changed in too many ways to count. For instance, when Milne wrote his essay, life expectancy for men was 47 years. Only 14 percent of homes had a bathtub, and only 8 percent had a telephone. The population of Las Vegas was 30 in 1915. Only 6 percent of Americans were high school graduates. Most women washed their hair once a month, using Borax or egg yolks for shampoo. Gasoline for cars was only sold in drug stores. In other words, the world was a totally different place 100 years ago. Imagine how different life will be 100 years from now. Will smoking even be permitted? Will people addicted to nicotine take a pill that will satisfy their cravings? With the pharmaceutical giants continuing to control our lives, who knows what medicines they will concoct as their lobbyists pressure the Food and Drug Administration to wipe out smoking and tobacco altogether? But cigars and pipes are different. They help us relax and encourage contemplation and thoughtfulness, and even the FDA’s own research shows that, used in moderation, they do not pose significant health risks. But let’s talk about moderation. If you’re addicted to cigarettes, it’s pretty hard to be a moderate cigarette smoker. I wouldn’t be surprised if most longtime cigarette smokers smoke a pack a day or more. What scientists have learned in the years since A.A. Milne penned his essay about smoking is that constant repeated exposure to tobacco smoke, especially inhaling tobacco smoke, is extremely detrimental to one’s health. Dr. Brad Rodu, an oral pathologist who has become a leading expert on the effects of tobacco, compares inhaling tobacco smoke to sitting in an enclosed garage with the car motor running and the windows down. If you do that even for a few minutes, the carbon monoxide will kill you. He says smoking is the same thing, only in much smaller doses. Thus, it takes years and years before you develop heart disease, emphysema, cancer or any of the other health ailments linked to inhaling tobacco smoke. Now Dr. Rodu is an unusual anti-smoking crusader – because he advocates vaping and smokeless tobacco as much healthier alternatives to inhaling tobacco smoke. He also is intrigued by a new Philip Morris product called heat-not-burn that has been successful in helping cigarette smokers in Japan kick the habit. Dr. Rodu is the scientist who exposed the fact that the FDA’s war on cigars was incredibly misleading, where they claimed that cigar smoking was just as dangerous as cigarette smoking. The only way that is true is with comparable usage, and the average cigar smoker consumes one and a half cigars a day, without inhaling, which is totally different from the average cigarette smoker, who inhales from morning to night. I got to know Brad well a few years ago when my company recorded his audiobook, For Smokers Only. 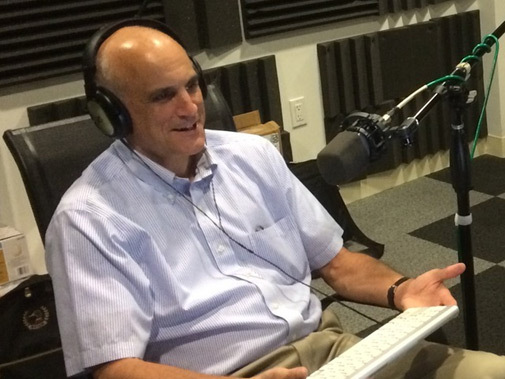 He spent three days in Hermosa Beach, CA, reading the book in our recording studio and answering my questions during the breaks. The experience was fascinating. Dr. Rodu earned his dental degree and then specialized in oral pathology – becoming an expert in the study of mouth cancer. For the first 14 years of his teaching career, he taught dental students that chewing tobacco was the primary cause of mouth cancer, because that is what he had been taught. But as he dove into the research, he discovered that what he had been taught was wrong, and that the primary cause of mouth cancer was inhaling tobacco smoke. Doing this while drinking alcohol, especially hard liquor, really compounds the problem. As his understanding of the research evolved, he noted that a particular dry snuff used by older women in the Deep South had an alarming correlation to mouth cancer. He also noticed that the people who chewed tobacco and got mouth cancer were invariably cigarette smokers as well. But if you excluded those exceptions from the studies, he found virtually no connection between smokeless tobacco and mouth cancer. The snus products today made in Sweden appear to be the safest, without the cancer-causing nitrosamines, though Rodu says the American products are also relatively safe. Rodu published his initial findings when he was a professor at the University of Alabama at Birmingham, and he is currently a Professor of Medicine at the University of Louisville, where he holds an endowed chair in tobacco harm reduction research. He is a member of the James Graham Brown Cancer Center at U of L.
Once he published his findings, as a book and in peer-reviewed academic journals, he was tarred and feathered by the powerful anti-tobacco special interests. They made false accusations; they tried to get him fired; they smeared him as being a tobacco lobbyist, which of course he was not, and they did everything in their power to discredit him. So I am sitting at dinner with him as he is telling me this story, and it occurred to me that he has no personal interest in tobacco use whatsoever. None. He does not chew tobacco or dip or use nasal snuff; he does not smoke – no cigarettes, no cigars and no pipes. No vaping. So I ask him, "Why are you doing this? Why are you willing to stand up to such powerful forces that are bent on destroying you, especially when you have no personal interest in tobacco use at all?" "Because it’s the truth," he said. "Honest research and good science always prevail in the end." 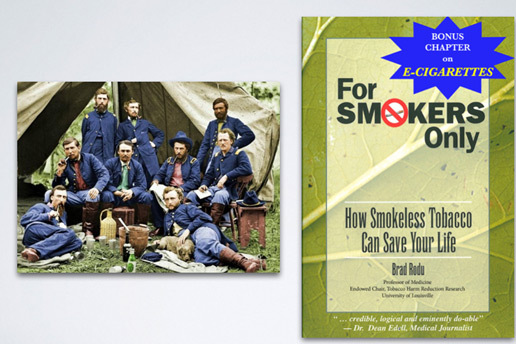 It is interesting that the Royal College of Physicians of London has since taken the position that smokeless tobacco is 98 percent safer than cigarette smoking. There are very few pipe smokers in 2018 who resemble A.A. Milne’s model of the true pipe smoker of 1918 – the man who smokes one or two pipes, always the same pipes, all day long. Mark Twain was like Milne, too. "It has always been my rule never to smoke when asleep," he said, “and never to refrain when awake." Many other pipe smokers from that era were the same way. J.R.R. Tolkien, who was born in 1892, famously said, "Every morning I wake up thinking, ‘Good, another 24 hours of pipe smoking’." 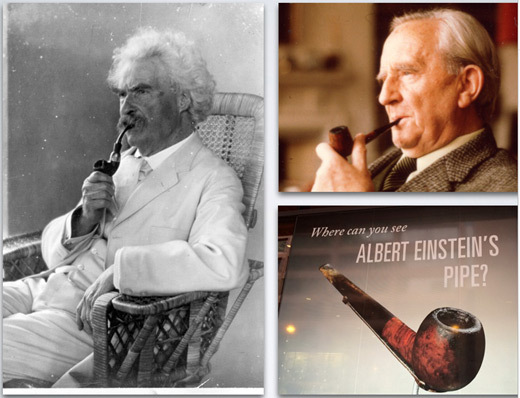 Have you ever seen photos of one of Albert Einstein’s pipes? They look like they were smoked and smoked forever. "All the ages" is an interesting phrase. A hundred years ago we had ham and eggs, and we will have them a hundred years from now. We don’t use stage coaches any more, but they have been replaced by automobiles to serve the same purpose. As for beautiful scenery and a contented heart – we had those a hundred years ago and we’ll have them a hundred years from now. But what about that fragrant pipe, which he describes as "old, rank and delicious?” Will we have that a hundred years from now? I believe the answer is yes. What makes it possible is this relatively new phenomenon of pipe collecting combined with the ever-expanding Tobacco Harm Reduction movement. 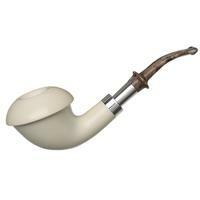 I truly believe that if Alan Alexander Milne had been born in 1982 instead of 1882, he would have been one of us, not necessarily collecting Dunhill white spot pipes, but collecting pipes from a large assortment of brand names and artisans from all over the world. If he still insisted on "shilling briar," he could find what he was looking for in estate pipes that are cleaned and opened by experts like Steve O’Neill. I believe that Mr. Milne would have joined us at pipe shows, as would Mark Twain, Albert Einstein and Bertrand Russell. 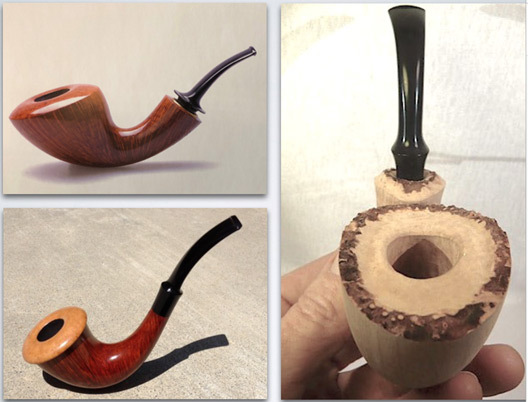 I say that because each of them truly loved their pipes, and as petty tyrants throughout the world are trying to make pipe smoking extinct, there is a need for all pipe smokers to congregate peacefully, to share our common interest in this unique hobby. In some ways, it could be argued that those early Dunhill collectors who so offended A.A. Milne were in fact the start of this little known but enduring hobby that we call pipe collecting. After all, they collected many pipes, polished them and put them on display for others to admire. We all have different tastes and different budgets for our pipes and tobaccos, but we are united in our desire to smoke our pipes. That is the bond that brings us together. Dr. Uli Woehrle, a retired pediatrician who lives in Stuttgart, Germany, has one of the most beautiful pipe collections in the world. He owns more than 700 magnificent pipes, acquired one at a time over a period of decades. I know good pipes, and I have never seen so many gorgeous pipes in one place as at Uli’s house. 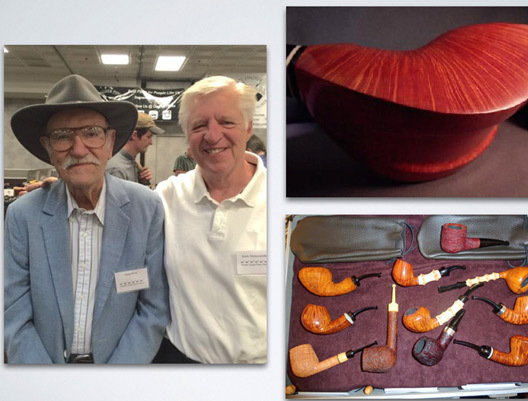 He describes himself not as a pipe smoker or pipe collector, but as a "pipe lover." I spent a day with Uli and was able to observe his smoking habits. He averages one pipe bowl per day, and he smokes it very slowly. As we talked, his pipe would go out at various times, and he would wait a few minutes before lighting it again. "We are losing the whole ‘smoking culture’," he said, "where people don’t appreciate all of the great things that grew out of the camaraderie and conversations as we enjoyed our pipes and cigars together." Yes, Uli is right. And doing it his way – one pipe a day smoked very slowly, barely puffing – is ideal for relaxing and infinitely more effective, and healthier, than popping a Xanax. But the reason the "smoking culture" is dying is because too many of its members have literally died from a lifetime of inhaling tobacco smoke. That is why Brad Rodu is so helpful. He addresses the person who loves tobacco and nicotine, and he offers alternatives for preserving the "smoking culture" of cigars and pipes in moderation – without inhaling – while enjoying other forms of tobacco all day long. He has shown that nicotine is very similar to caffeine. It is addictive, yes, but it does not cause cancer, COPD or heart disease. Each person has his set-point, kind of like an internal thermostat. Notice how some people prefer one cup of coffee per day, while others might drink six cups or more, but whatever their preference, they typically follow the same routine each day and limit their consumption to that set-point. In the same way, some pipe smokers are content with three bowls a week, while others smoke a dozen bowls a day. There is zero evidence that three bowls a week without inhaling cause the slightest health risk. If you change that to one bowl a day, I have yet to see a study showing health risks from that. If you smoke three bowls a day, you might be reaching the limit, but who knows? 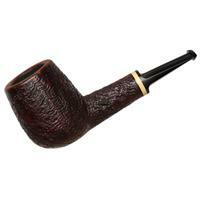 Of course, not all pipe bowls are the same size, so I am speaking of an "average" pipe bowl, what Dunhill calls Group 5. According to Dr. Rodu, the FDA’s own research shows that there is no significant health risk with one or two cigars a day, which translates to two to four pipes a day. So let’s say that you switched from cigarettes, or from A.A. Milne’s and Mark Twain’s all day long pipe and cigar smoking – to snus, vaping and heat-not-burn products. Where do pipes fit in? They are an endless source of pleasure and fun, and only a small amount has to do with smoking. Pipe collecting began in earnest in America in the 1970s, partly because of the emergence of artisan pipes, but mainly because pipe smokers decided that serious scrubbing with high proof alcohol made it possible to smoke used pipes. 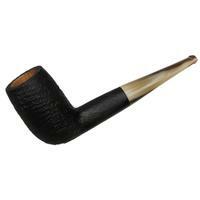 Sellers started calling them "estate" pipes, and the rest is history. You can get old wood on beautiful pipes made a hundred years ago for much less money than a new pipe. You can find rare pipes, such as acquiring one of Einstein’s pipes or pipes from soldiers of the Civil War. Can you imagine how much fun acquiring these relics would be? 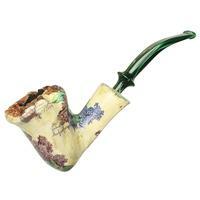 But the other reason for pipe collecting is that pipes can be works of art. They are functional art, and there is something very special about knowing and liking a pipe maker who makes an artistic creation for you. Pipes have a beauty that is unsurpassed. It is the reason that super rich collectors from America, Europe, Russia, China and Japan have paid tens of thousands of dollars for a single pipe – usually for display as artwork and not for smoking. Striving to create functional art is the reason that so many talented artisans from all over the world are making beautiful pipes by hand. There are so few of us pipe smokers that it is only natural that we form bonds of friendship because of our shared passion for pipes. This is a cure to the loneliness that is killing so many of the elderly today. Pipe clubs and pipe shows are an opportunity for us to "fill up," as my friend Ed Lehman used to say. I think he really meant to fill up with friendship. The social attraction is totally unique and has nothing to do with inhaling cigarettes all day. Our social connections as pipe smokers, connections that span the globe in many cases, promote health and longevity. Let me repeat that: pipe collecting as a hobby promotes friendships, and those friendships lead to good health and a long life. When Paul Bender was awarded the Doctor of Pipes at the Chicago show in 2018, he thanked his peers not just for the award but for making his life richer. "I have met some of my best friends at pipe shows," he said. Three years ago at the Las Vegas Pipe Show I asked pipemaker Paul Perri if he would pose for a picture with me. In the photo, I look youthful for a 65-year-old, and Paul looks positively spectacular for a 95-year-old. Bertrand Russell lived to 97, and he loved his pipe as much as anything. 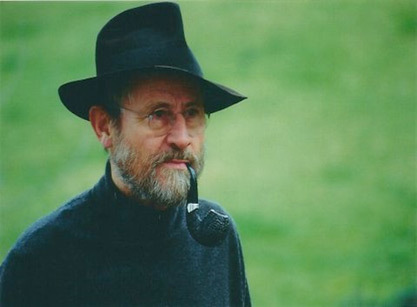 Ed Kolpin, founder of the Original Tinder Box, also lived to 97 and was convinced that "you live longer with a pipe" because of its benefits at reducing stress. Paul Spaniola, founder of Paul’s Pipe Shop in Flint, MI, lived to 100. Another person who lived to 100 was the comedian George Burns, who loved his cigars. He said that his doctor had told him to give up the cigar, so he waited until his doctor died and then found a new doctor. How do bureaucrats at the FDA explain the longevity of so many people who learned how to enjoy cigars and pipes, and our unique hobby of pipe collecting? The latest Gallup poll shows that one quarter of the American public wants to make smoking illegal. How can they justify that when there are so many examples of people who have lived into their 80s, 90s and beyond while enjoying their cigars and pipes in moderation? Pipe smokers in the 21st century almost never smoke to excess, if only because it is so difficult to find open spaces where smoking is allowed. There are so few of us that we barely register as a group. Yet the European Union’s bureaucrats won’t leave us alone, nor will the FDA. I mention Europe because of the hideous graphics they impose on pipe tobacco tins, which often are works of art. What they have done is taken the images that they created for cigarette packages and insisted that they be applied to pipe tobaccos as well, pretending as if cigarettes and pipes are the same. Seeing a cancerous lung is appalling and, frankly, has nothing to do with the moderate and relaxed pipe smoking, without inhaling, that characterizes our hobby today. It would be as if government regulators were to require all automobiles to be sold with photos of dead bodies from car accidents as a warning sign. Mark Irwin, co-author of the upcoming Peterson Pipe book, has been experimenting with PhotoShop to alter the monstrous tobacco tins thrust upon the European pipe smoker by replacing the misleading photos and graphics showing death and disease with thoughtful quotations about the wonders of pipe smoking by some of the most brilliant men who have ever lived. 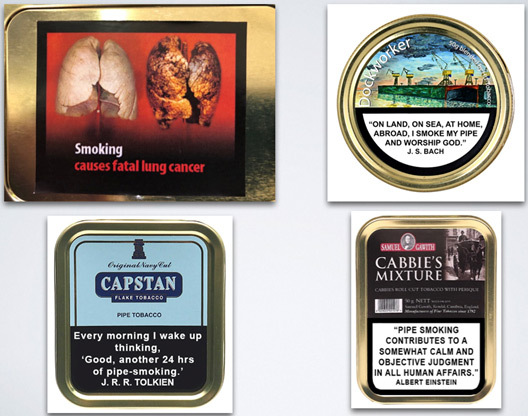 Imagine if you owned a pipe store in Europe and sold tobacco tins with those ridiculous warning labels. Is this something that a wife would buy for her husband as a Christmas present? But what if you included a sticker – fitted exactly to cover the hideous graphics – that she could peel off and put over the offending government-mandated images? Now that’s brilliant – a fantastic way to fight back. As Mark says, "We are an incredibly intelligent, resourceful community. Is there more we can be doing? 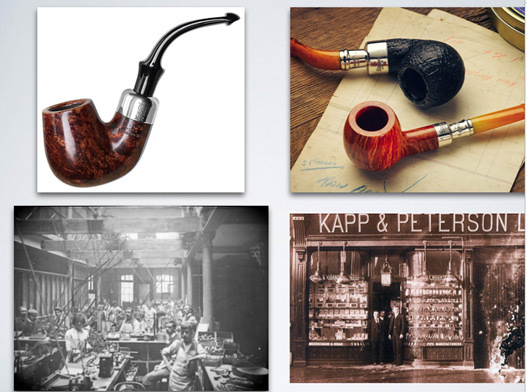 How can we be advocates for the benefits and advantages of pipe smoking? Our approach should be purposeful. Not in fear or anger, but in calm and confidence." This is the type of quiet protest and imaginative thinking that makes today’s pipe smokers so unique. 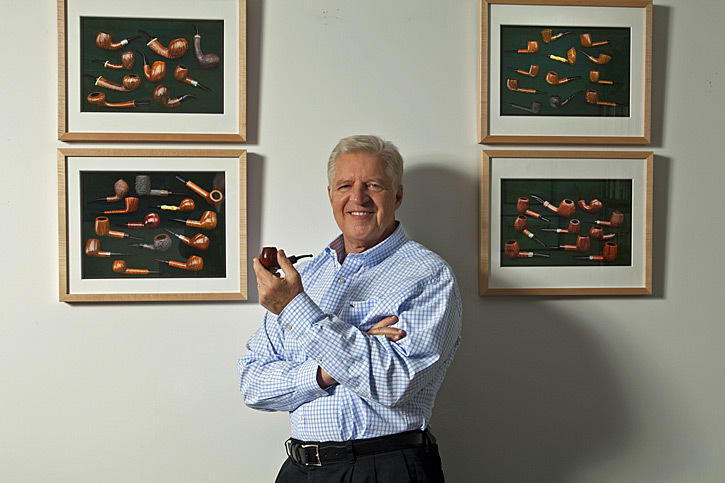 I think it helps illustrate why Sykes Wilford, who runs Smokingpipes.com and its parent company, Laudisi, recently bought the Peterson Pipe Co. As Sykes explained, “Laudisi is about pipes and pipe tobacco … Institutionally, Laudisi Enterprises loves pipes. That love informs every decision we make." Sykes personally loves pipes, and he knows that all of us are passionate and eager to continue trying new things that are pipe related. We are an intense community because we know and appreciate something that the rest of the world knows nothing about. But the smaller our number, the less likely that we will be extinguished. We might have to smoke underground – alone in our homes – but there won’t be a mass movement to eliminate our wonderful hobby the way there has been to eliminate the terrible habit of cigarette smoking. 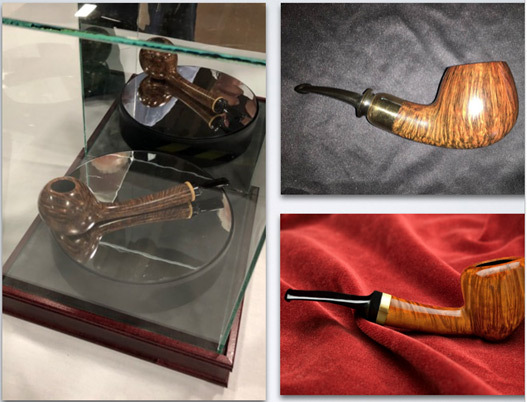 When I hear that there are no pipe smokers left, when people say, "I never see anyone smoking a pipe any more," I always wonder why I consistently get outbid on eBay when I want to a buy a pipe at auction. Who are these buyers? There are many of them, all over the world, and they stay under the radar. If you want to know where smoking will be in 100 years, study the Tobacco Harm Reduction movement. Lindsey Stroud of the Heartland Institute, writes: “THR products are a consumer-driven, disruptive technology. They deliver nicotine to consumers without the harmful constituents in combustible cigarette smoke, and evidence of their high efficacy as a safer alternative to traditional cigarettes continues to mount." I can easily envision e-pipes or some other form of pipes that stay lit, have comfortable mouthpieces and beautiful pipe shapes, and most importantly, that taste like real pipe tobacco. It is only a matter of time before these new technologies will enable us to imagine that we are enjoying the taste and flavor of tobaccos such as the original Balkan Sobranie. However, nothing will take the place of the original blend in an old fashioned pipe. I can see one or two bowls a day of the original and as many as you want of the futuristic version of a vaping pipe or heat-not-burn pipe or whatever new technology is developed in the upcoming century. The interesting thing is that most people believe that pipe smoking is already a thing of the past, yet I am convinced there are many more of us than is reported, and, thus, there will be a market for these new technologies. I remember asking my son, Jack, who is 36 and has an MBA and is very high tech in his thinking, how pipe smoking would be characterized in a business school class, and he said it’s too small to be classified. "I’ll bet more people think 9/11 was a hoax than smoke a pipe," he said. “More people think the earth is flat than smoke a pipe." When he said that, I was stunned. The earth is flat? My first thought was, wow, there sure are a lot of idiots in the world! But I also wondered, then why is Jack’s father so passionate about pipe smoking and collecting? There are many reasons, and I really don’t care if the outside world understands them. I know that people who attend pipe shows get it. 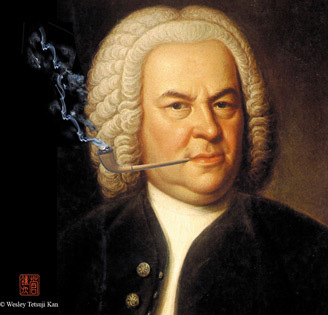 You get it now and we know that future generations will get it too, just as Johan Sebastian Bach understood the magic of pipes 300 years ago. 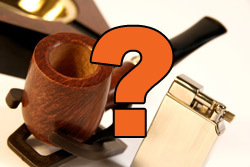 What is more fun than attending a pipe show and adding a beautiful pipe to your collection? 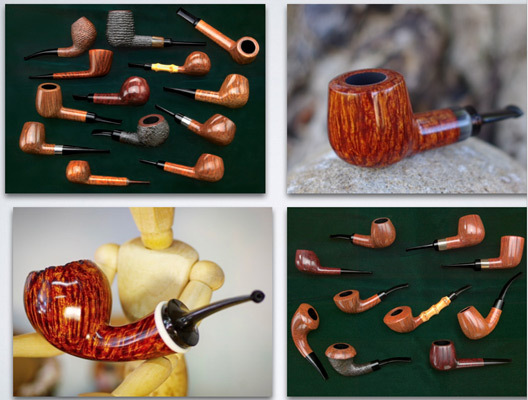 When A.A. Milne wrote his essay on smoking versus collecting, there were nowhere near the number of artisan pipes available as there are today. Just look at the tables at this show, with hundreds of absolutely beautiful hand-carved pipes. I suspect that I’m not the only one in this room who spends many hours cleaning and polishing my pipes and displaying them, and then more hours studying the details of each one. Had he lived today and not 100 years ago, I suspect even Mr. Milne would be following suit. Pipe smoking is a learned art that can take years of practice. But once you know how, there is nothing so enjoyable. As part of the ritual, we try many different tobaccos and age the ones we like best. We experiment with pipes of various sizes and dimensions in the draft holes and tobacco chambers. We also learn how to limit our smoking to moderate levels without ever inhaling. There is nothing like savoring a well lit pipe, where you take an occasional puff every so often. Savor is the right word. We do it alone throughout the year, for the most part, and we have pipe show weekends where we get together with the handful of people in the world who share our passion. So that is my prediction for pipe smoking 100 years from now – new technologies that allow us to enjoy nicotine and the flavor of tobacco without risking our health, combined with moderation in our hobby of quiet, solitary pipe smoking hidden from public view. 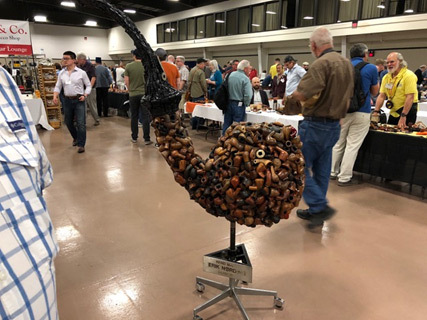 But this is combined with social connections with pipe friends from all over the world, and with collectors getting together at pipe shows and pipe events. They will want to share their knowledge of this fantastic secret, where they study and chronicle the history of factories and artisans, and where they share stories and emotions and fill up with friendship and savor their pipes, just as we are doing today. Our emphasis is on camaraderie, but it is a camaraderie based on savoring our pipes, not inhaling them. One hundred years from now pipe collectors will look back on us as the pioneers who created this unique hobby. We recognized that pipes in moderation are infinitely healthier than opioid painkillers or tranquilizers or marijuana or all the other drugs that have much more serious side effects. We also have found a cure for loneliness – the hobby of pipe collecting, with its infinite possibilities for sharing and camaraderie and, as Reggie Stevens puts it, for love and friendship. The anti-tobacco laws have gone overboard because of the tragic consequences of cigarettes, but, in time, as Brad Rodu says, truth always wins. The truth is that moderate pipe smoking and enthusiastic pipe collecting promote good health and longevity. That is why I believe pipes have a glorious future and will be more popular than ever 100 years from now. 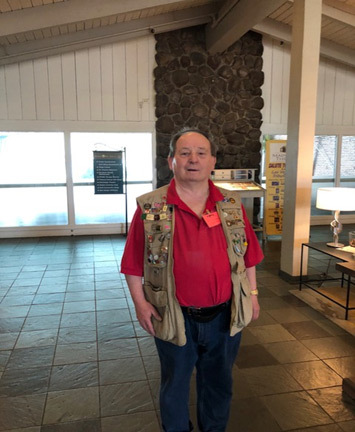 Rick Newcombe is the author of "In Search of Pipe Dreams" and "Still Searching for Pipe Dreams," both of which are available as paper books, ebooks and audiobooks. It’s an optimistic prediction, but I agree that tobacco pipes could hang on as an interest and focal point for sociability, perhaps with many more people owning just a few pipes to smoke for specific occasions. Where Will Pipes Be In 100 Years? China, mostly, I suspect. Another person who lived to 100 was the comedian George Burns, who loved his cigars. He said that his doctor had told him to give up the cigar, so he waited until his doctor died and then found a new doctor. What a great article, and how you crystallised what pipe-smoking is all about - companionship, fun, laughter, relaxation and a sense of unity. I always enjoy hanging out with like-minded people and long may it continue. My heartfelt warm wishes to Reggie Stevens too. This article points out what we are facing. We have an entrenched bureaucracy doing its best to outlaw tobacco at all costs and lying about the evidence doesn’t cause these people any embarrassment. That’s a good article , thank you . Indigenous peoples have smoked pipes for thousands of years.. not all smokable plants are bad for you. So it is so crazy … all the histarea around smoking. Mullien, comfrey, coltsfoot, and others are lung medicines. and can actually heal you by smoking them properly. Tobacco is a sacred herb. and when is not polluted with chemicals, it is not a bad thing.. these anti smoking folks need to understand that it is the CHEMICALS that are added to the tobacco that is the problem .. not the tobacco itself!!!! Additionally smoking a pipe is my right.. it is part of my culture. I support pipe smoking for its stress reliving and healthy qualities. I support my traditional rights. and the right of my culture! I really enjoyed this article, thanks for the thoughtful insight!